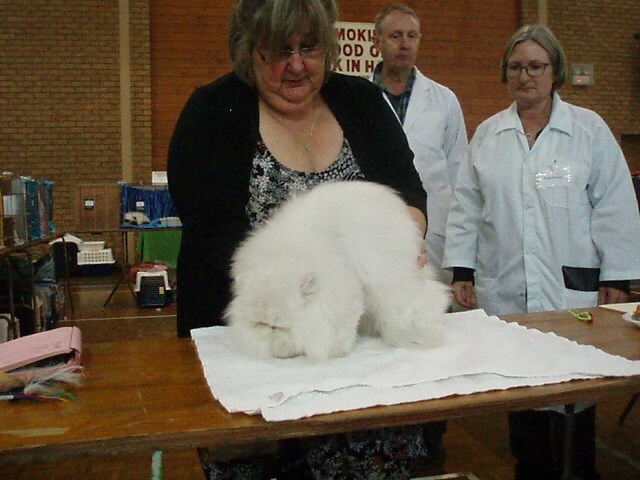 After quite a long break from showing we decided it was time to return and attended the Goulburn Agricultural Show on March 22nd. 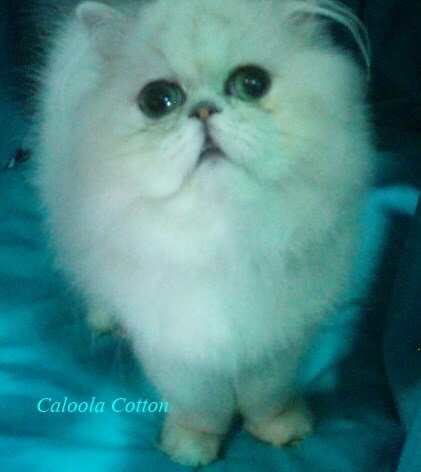 We entered two young brothers who were four and a half months old, Caloola Cotton, a Chinchilla, and Caloola Nishikori, a Shaded Silver. 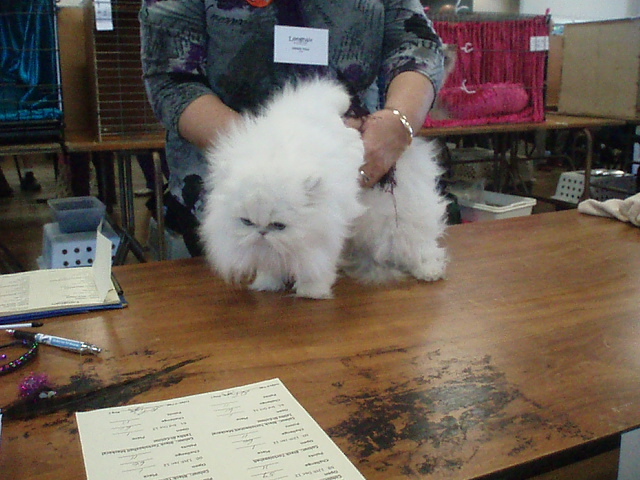 There were approx 65 Persians entered and the quality was amazing. 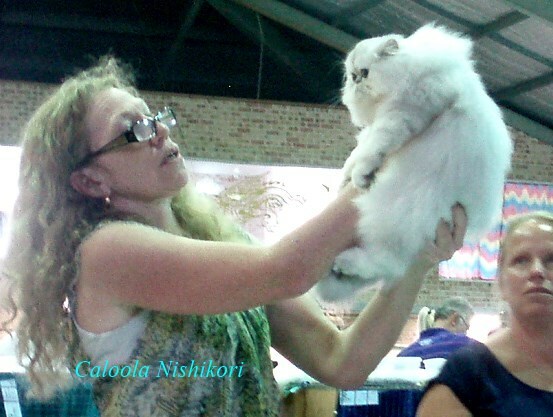 The results were extremely pleasing with both kittens making the Top 5 in all three rings, Nishikori going on to be BEST KITTEN and RUNNER-UP to SUPREME EXHIBIT confirming that our breeding program is still on track. 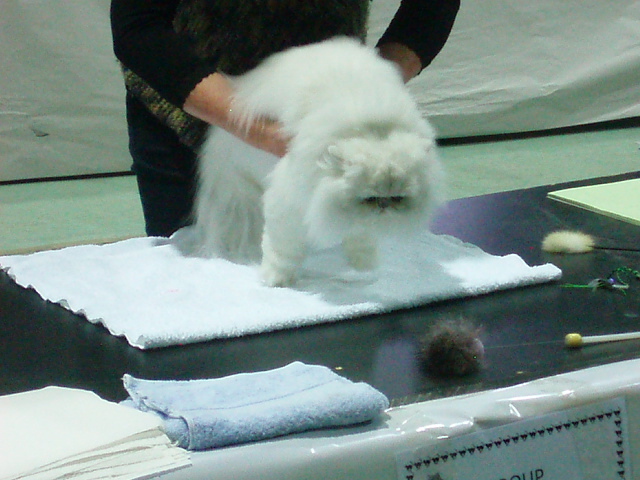 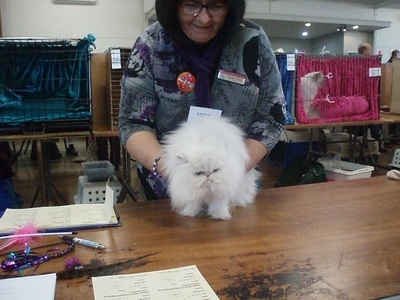 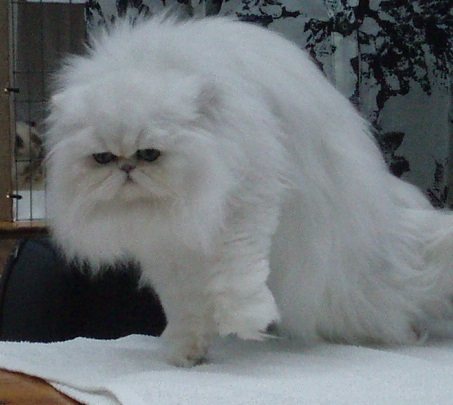 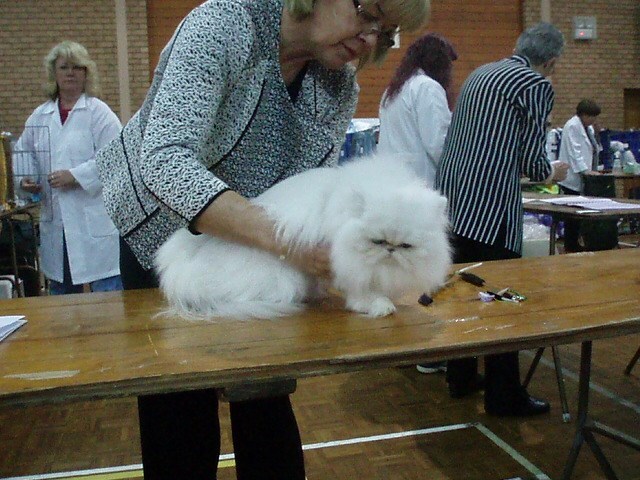 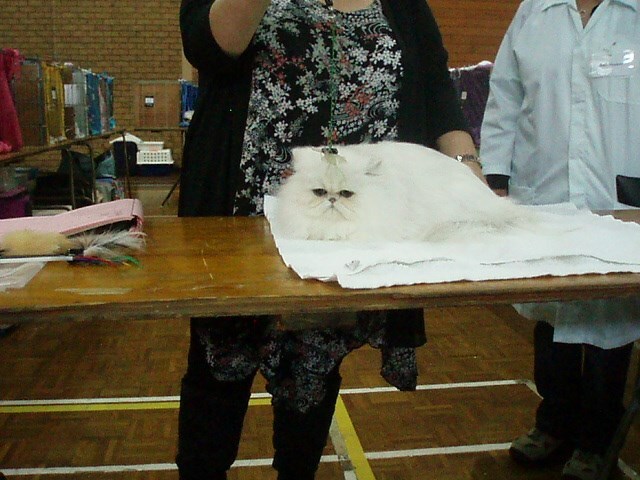 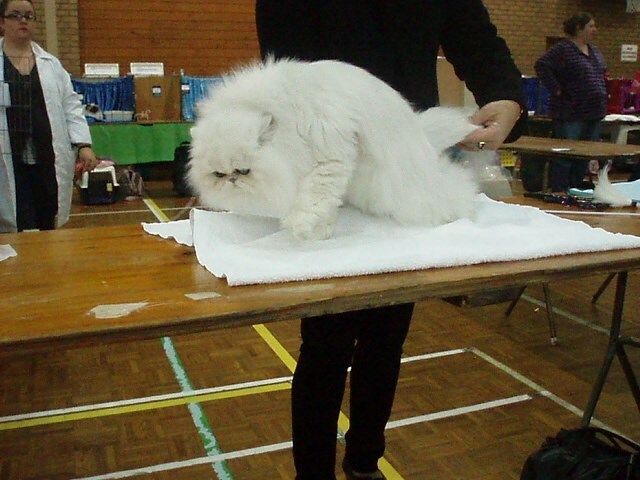 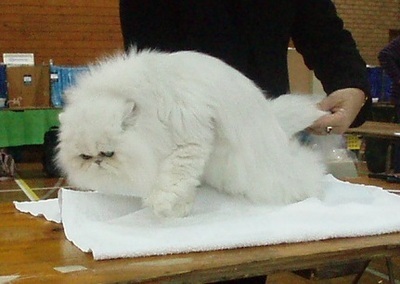 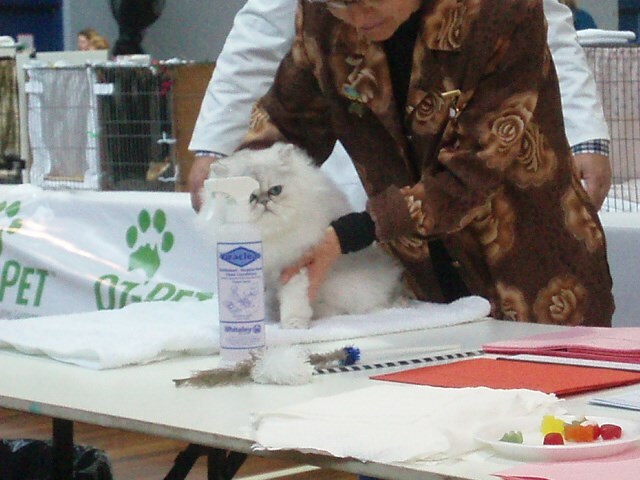 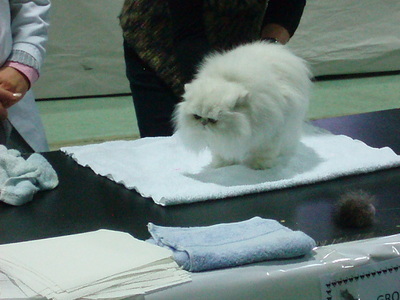 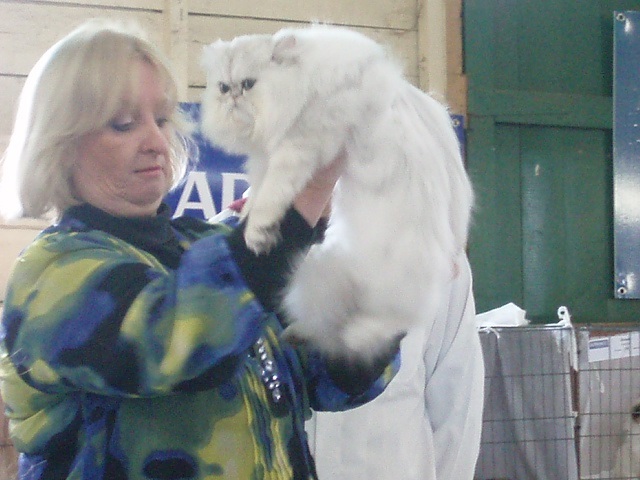 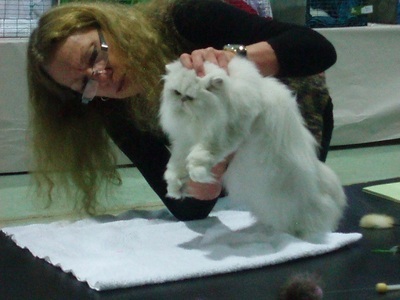 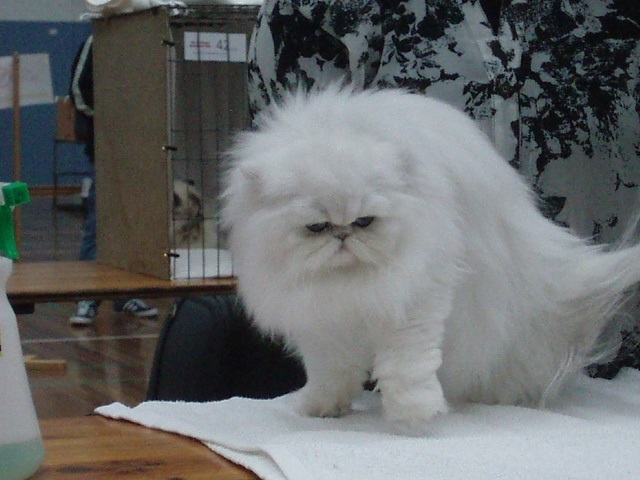 Top Ten Persian Exhibits judged from all Kittens, Entire Cats and Desexed Cats. 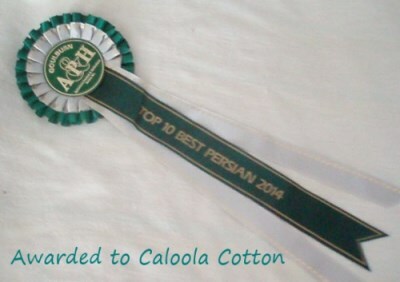 Cotton 5th Best Persian Exhibit in Show. 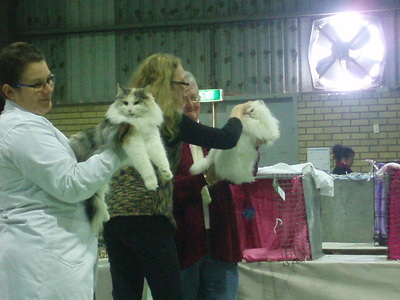 A GREAT RESULT FOR TWO SUCH YOUNG KITTENS AT THEIR FIRST SHOW !!! 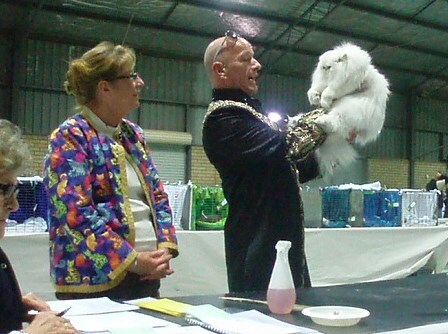 We attended the NSWCFA State Show on April 5th. 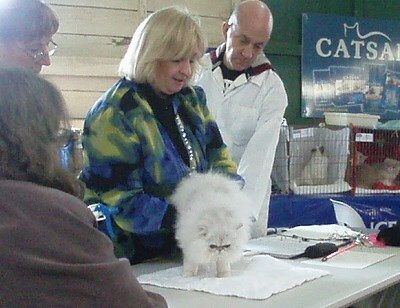 Caloola Nishikori being Judged by Debbie Cameron. 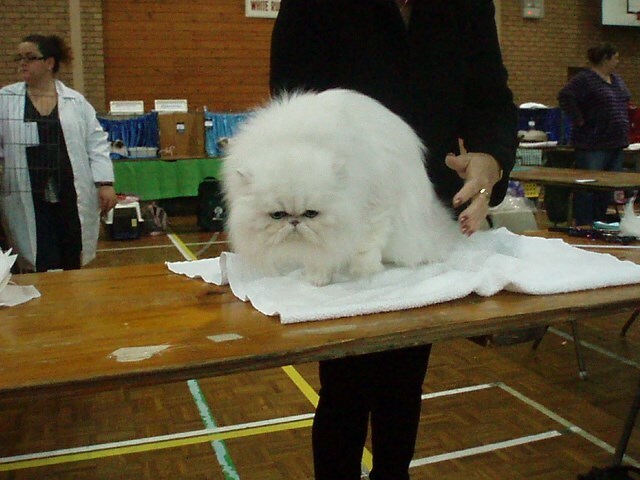 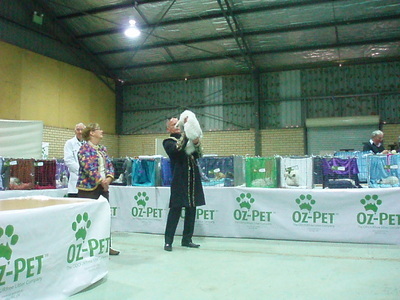 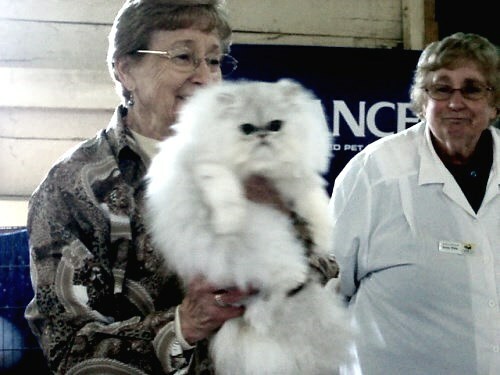 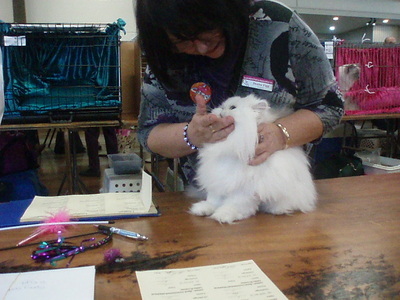 He was placed 2nd in the Top 5 and BEST PERSIAN KITTEN in this ring. 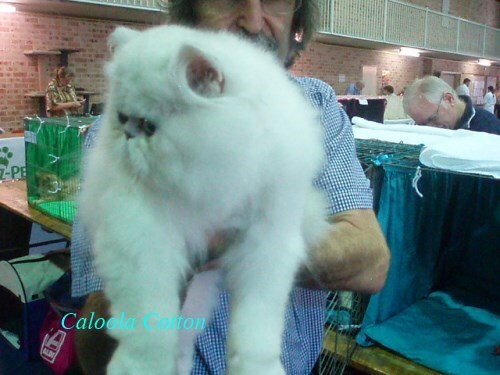 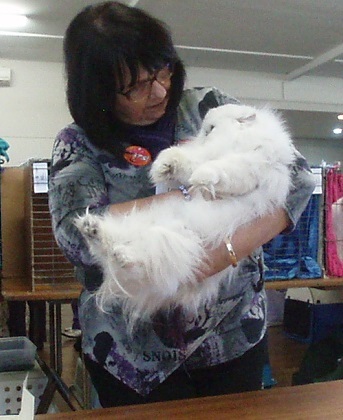 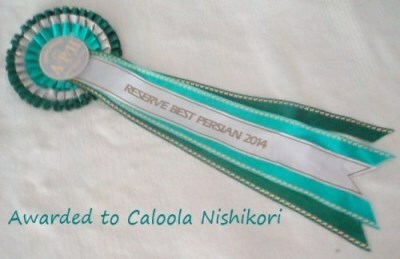 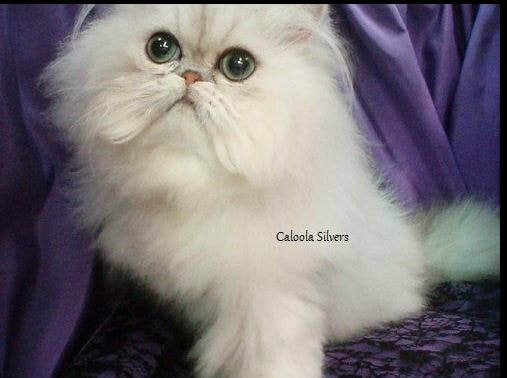 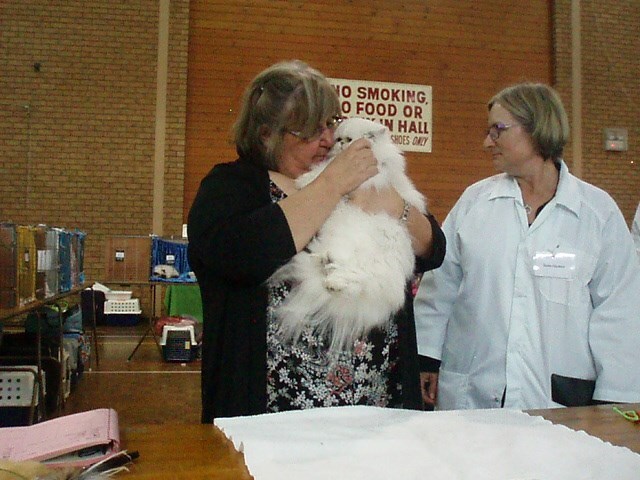 Federal Cat Show June 15th 2014 We showed Caloola Sweet Chloe for the first time. 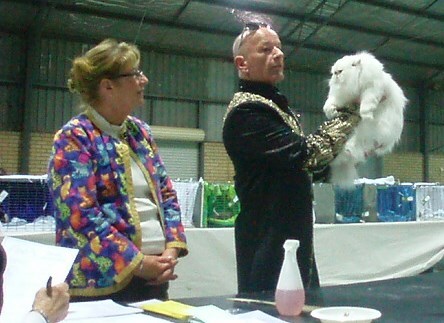 Above with Judge Marie Mahoney from Queensland. 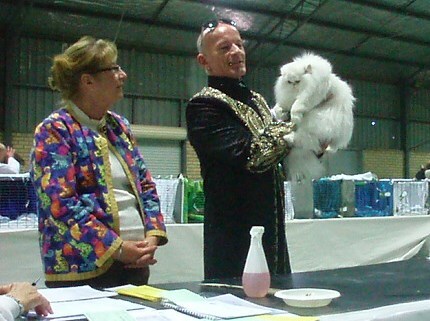 Chloe received all three Challenge Awards. 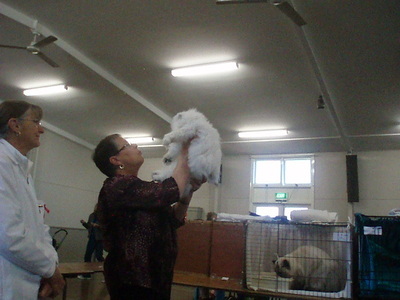 Chloe won her class and became a Champion. 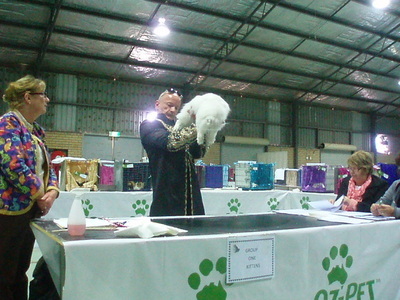 Chloe also placed 4th Top 5 in two rings and 2nd Top 5 in the 3rd Ring. 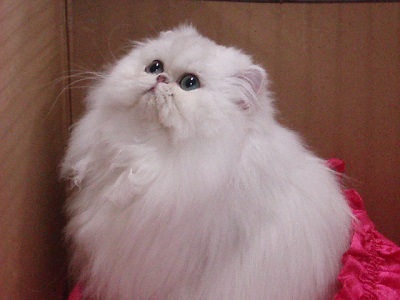 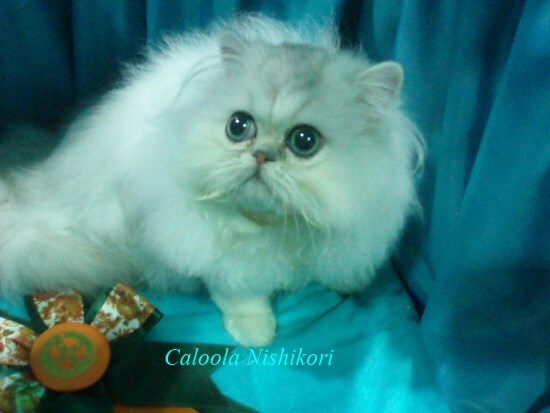 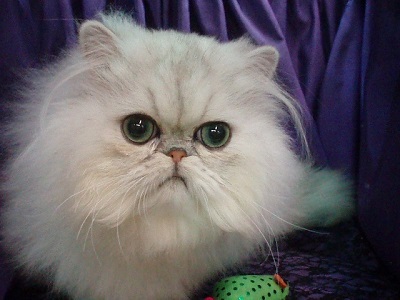 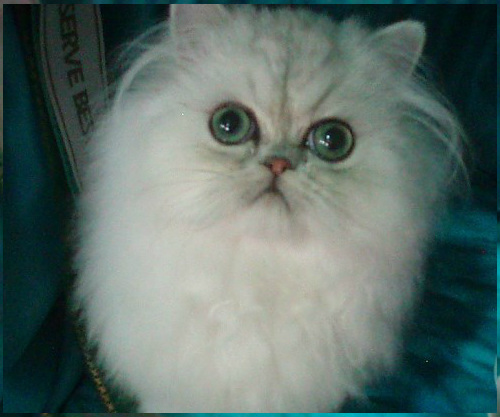 In this ring Chloe was BEST PERSIAN FEMALE CAT.